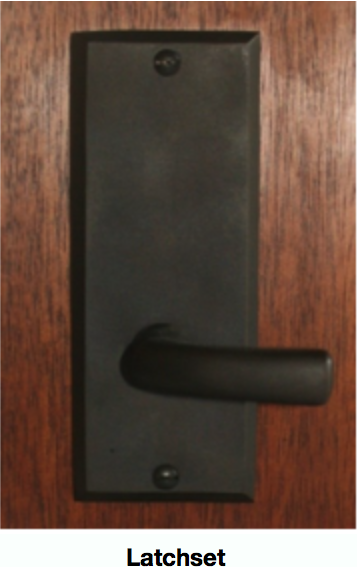 One of the most misunderstood aspects of ordering screen door hardware is determining the "handing" of a doorway. Handing is the orientation of how a doorway opens and closes relative to the locking mechanism (i.e. the lockset). Matching handing to your existing doorway is important for proper door operation, and can be costly if you end up ordering the wrong item. Whether you've never ordered "handed" hardware before, or just want to refresh your memory, we’re here to walk you through the steps. To determine the handing of your door, begin by standing on the exterior side (outside) of your doorway facing inward. Looking at your door, determine which side the door hinges are on. Also, open and close your door a few times, noting whether your door opens toward you or away from you. Refer to the chart below to help identify which handing your door is. For example, if the hinges are on the left side and the door opens away from you, it’s considered a “left handed” door. A door with the hinges on the left side that swings toward you would be considered a “left hand reverse”. If you're ordering hardware for a new custom wood screen door, we typically recommend ordering the opposite handing of what your current front door is. So if your front door is right handed, order your screen door lockset or hinges as a right hand reverse. Finish, while mostly an aesthetic choice, can play a huge role in determining what hardware you buy for your home. One thing you may want to consider is how that finish will wear overtime with repeated use. Many of our finishes are lacquered, meaning they’ve received a clear-coat treatment to preserve their appearance. However, some of our hardware is available unlacquered. 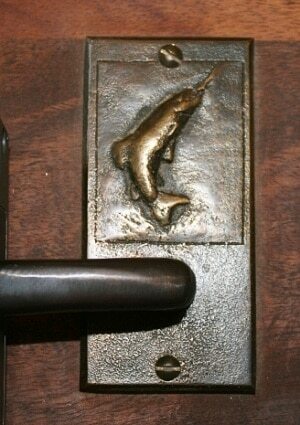 These “live” finishes are designed to patina naturally, gradually getting darker as time goes by. 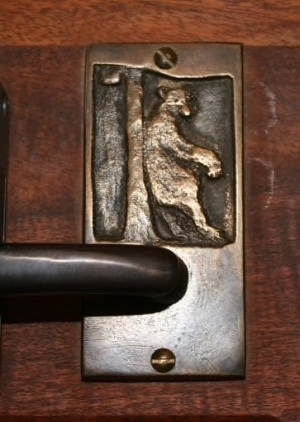 Our Old Goats Custom Latchsets come available with a natural bronze option that will do exactly this. We’re proud to offer a wide selection of finish options for most of our hardware, allowing you to custom tailor the appearance to your personal tastes. Another consideration to make is whether you need a latchset or a lockset. Both serve the same purpose but have different functions. A latchset is designed to keep a door or gate completely shut. 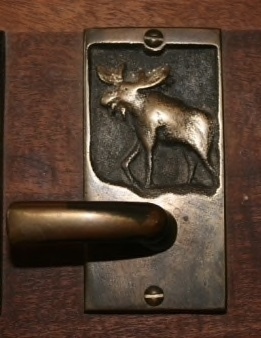 They have a bolt operated by either a handle or knob that, when closed, will hold the door in place. A lockset serves the same purpose, but with the added benefit of security. 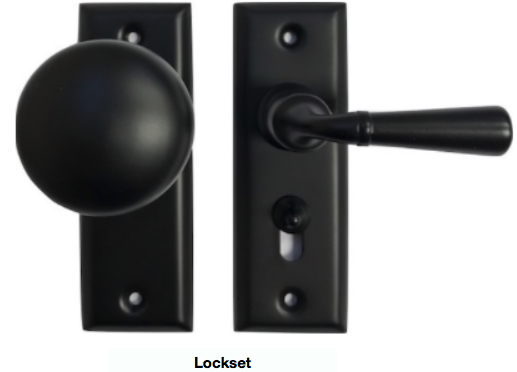 Locksets have a locking mechanism that will require a key to open when locked. Latchsets do not have this function. We recommend using a latchset on gates and doors where security isn't an issue. Locksets should be used on entryways into the home where a lock is needed for extra piece of mind. Choosing the right set of screen door hinges will make opening and closing your door hassle-free and even extend the life of your door. We offer a variety of hinges to suit different needs, whether it be style or function. The hinge material is important in determining what hinges will best fit your needs. 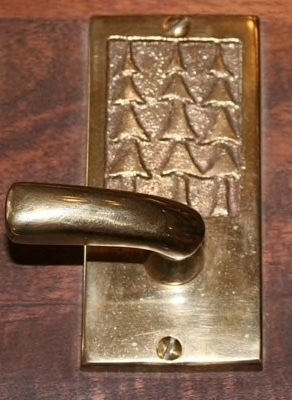 The majority of our hinges are constructed from solid brass. 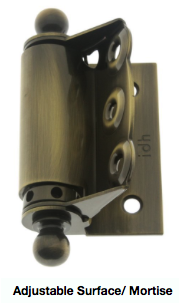 We prefer brass hinges due to their rigidness and ability to withstand years of abuse. They also gain a natural patina over time with the unlaquered variety, although we do carry a wide selection of other finishes as well. Our base model hinges are made from steel, making them a cost-effective option. However, keep in mind that they may corrode overtime due to their steel construction. The style of the hinge can also help you decide the proper hinge. We offer three basic types of hinges: a 3x3 mortise hinge, a surface-mount spring hinge, and an adjustable surface/mortise hinge. 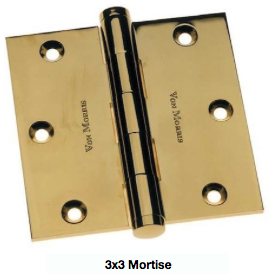 Our 3x3 hinge is a standard swinging hinge, with no spring mechanism to help it close. These hinges will mount between the door and the trim, requiring a "mortise" to be cut into the mounting surface of the door for proper clearance. While a mortise hinge does take more work to install, the end result is very clean and professional. 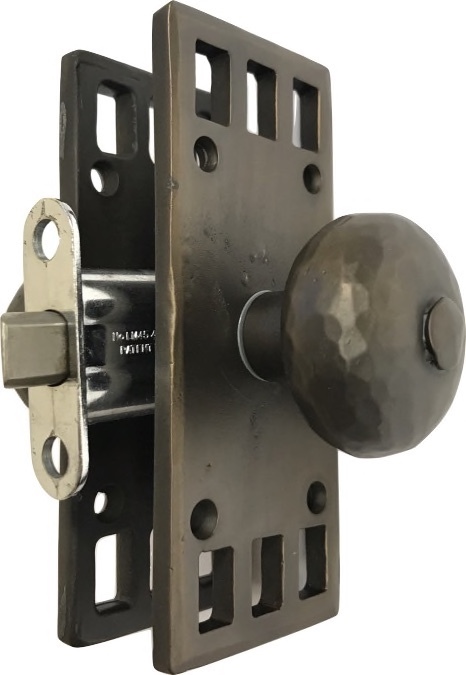 Our premium 3x3 hinges also come available with decorative finials that screw into the top and bottom of the hinge housing. A flat, non-decorative finial is also available. A spring hinge is great for those that are tired of their door not closing completely. These hinges feature a coiled spring that will bring the door shut with a gentle thud. We offer two kinds of spring hinges for our screen doors. One variety is a surface mount, which can be bolted directly to the front side of the door and trim with no other modifications necessary. The other is an adjustable spring hinge that requires one flange to mount on the surface and the other in a mortise. Both options function perfectly and a simply a matter of personal preference. Now that you know what style of hinge you want, you need to order the appropriate amount of hinges for your door. Typically, a taller door will require more hinges than a shorter one due to the extra weight. For our custom screen doors, we recommend at least 3 hinges for standard and premium doors up to 84" tall, and four hinges for doors measuring 84" to 96" tall.